Twenty years ago, the Inuit Studies Conference in St. John's drew protests. Today it draws praise. The difference, says Dave Lough, deputy minister of culture, recreation and tourism with the Nunatsiavut government in Labrador, is that it's the first time an Inuit government has co-hosted the event. "This conference was hosted in St. John's in 1996, and at that conference there was tension between the academic community and the Inuit who were pushing traditional knowledge and critical of many of the conclusions that the academic community were coming to about Inuit life," he told CBC. But the two sides agreed to work together to resolve the tension, he said. "It's 20 years later and we're seeing a great improvement in terms of the partnerships that exist between academic institutions and governments like the Nunatsiavut government to further our knowledge of all aspects of life in the North and the Arctic," he said. The participation of Inuit in the planning stages has improved the conference as a whole, said Lough. "(We're) finding a path forward and some action items out of this, that's one of the big things," he said. "It's not just more research. Research really has to be used and useful in decision-making and policies, and all of our indigenous governments in Canada have evolved and are at stages where they need evidence-based research to help make decisions, so I think this conference is really helping provide some of that material." The conference has met Nunatsiavut's expectations, said Lough. "We wanted to have a conference in which Inuit were playing an integral force in design and delivery of the course, and participation," he said. 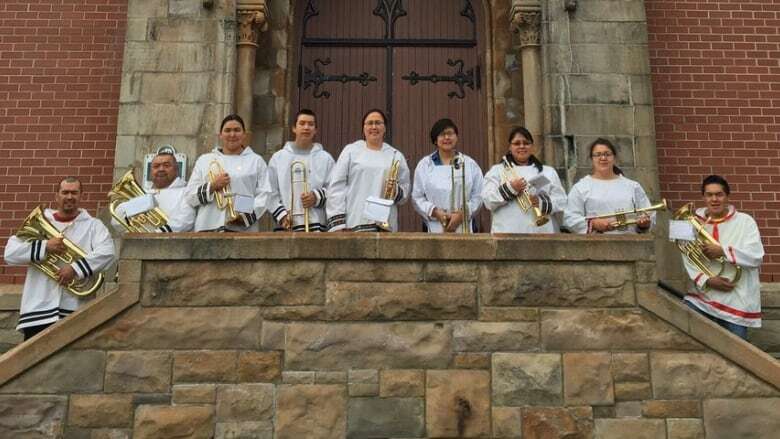 "There's over 200 presentations going on over the weekend, and many of them are from Inuit, talking about issues in the communities, balanced with some of the academic presentations."